The Shins are starting to become that relationship that's becoming more annoying by the day. Great hooks, but the semi-happy, hopeful music does not match the lyrics. All that to say that times and tastes change. Bill and Rebecca - THANK YOU for helping me out in finding new music to listen to and not have to listen to crappy FM radio anymore! Top 250 Albums of all time. 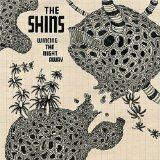 I love this song and this album, but given Bill & Rebecca's thrashing of their newest album I admit to feeling ennui that The Shins' best days are beyond them. Hopefully it's just a bump in the road. Clearly I've put this (buying this CD) off too long - considering I LOVE "Sea Legs" and seem to like several other tracks from this album - how does one buy music nowadays? Is it only MP3s, or can I buy an actual disc still? The Shins do seem to have borrowed from Phil Spector. But I forgive them. Yes, a pretty obvious nod/homage to Spector and Greenwich using that opening chord with the suspended fourth; it's not like they're trying to deceive anyone. Just about anyone who knows anything about popular music knows "And Then He Kissed Me"; I'm not sure why people seem to feel it necessary to link to that song. Anyhow, the rest of this song is entirely different. Suspended fourth chords are used in the intros to thousands of songs. "and then he kissed me"? And what's up with that bizarre broken biology of the cover art? This song has some really nice hooks in it. Kaisersosay, Bill just immortalized your words in streaming audio space. Made me look! Interesting comment. I cannot think of anything from the 1960s and 1950s that makes think of the Shins. But then perhaps you were in college in the 1940s? Lyrics matter. Dark lyrics matter .Dark matter matters. Perhaps i should not get another liter out of the beer cooler. When ever I hear a Shins song, It makes me feel like I am in college again. The funny thing is these guys were not even born when I was in college. Their music just has a familiar sound to that time for me. Love your comments Bill. Give us more. Most DJs talk too much. You don't talk enough. Ahhh. Music from before the crash. Luckily I walked away with copy of this CD. I guess the guy is formerly was holed up near mezzo corona. "I was fond of 'why, oh you?'!" This entire album is so unbelievably solid... one of the best of the decade? Opening is reminiscent of . . .
Haven't heard this on RP before... great album. I don't think James Mercer was playing music until the 1990s. Good tune - cool guitar sound. Another great song from a great CD!